The name of this recipe -- Chocolate Chip Bars -- sounded so pedestrian that I'd passed over the vintage recipe card many times while searching for something to bake.. But last week, I finally read it carefully and discovered that it was rather unique, not the bar-cookie-shortcut for traditional chocolate chips that I'd imagined. Instead, this recipe yields a delicious, moist (almost gooey) chocolate-coconut filling that is light, sweet and and unusual. 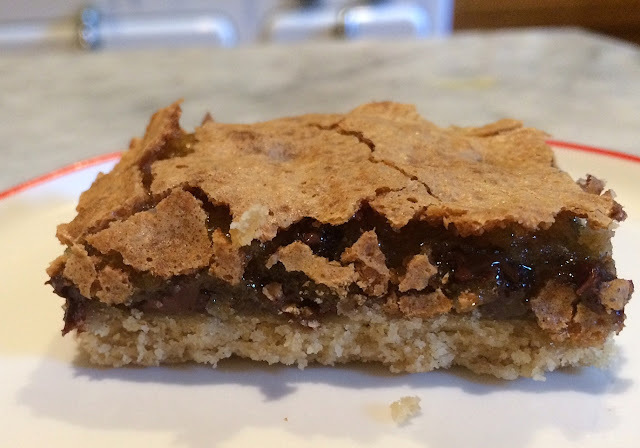 It's crispy top, moist interior and buttery crust create a bar cookie that's worth the effort. They are reminiscent of the famous Toll House Cupcakes, but are much easier! 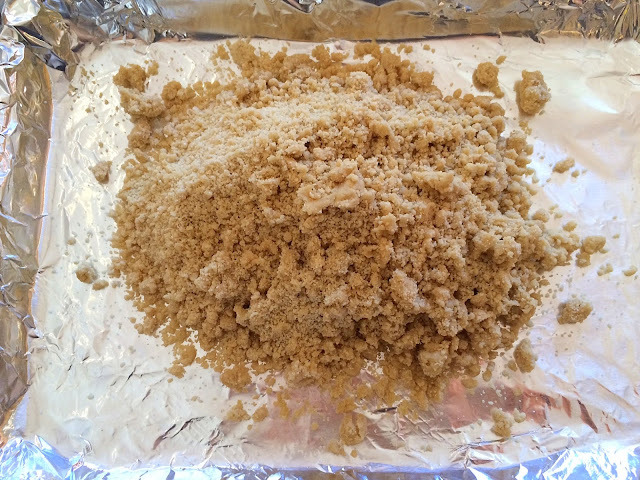 Start by making the crust, a simple mixture of butter, flour and brown sugar. 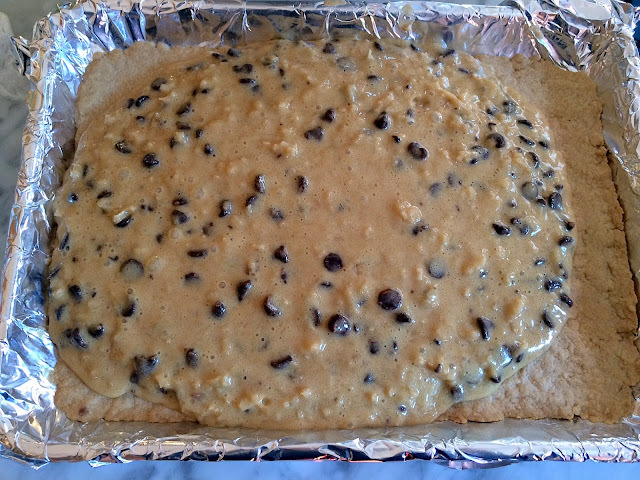 Place the mixture on a cookie sheet. I lined mine with foil, so the whole thing could be easily lifted from the cookie sheet for ease of cutting at the end. 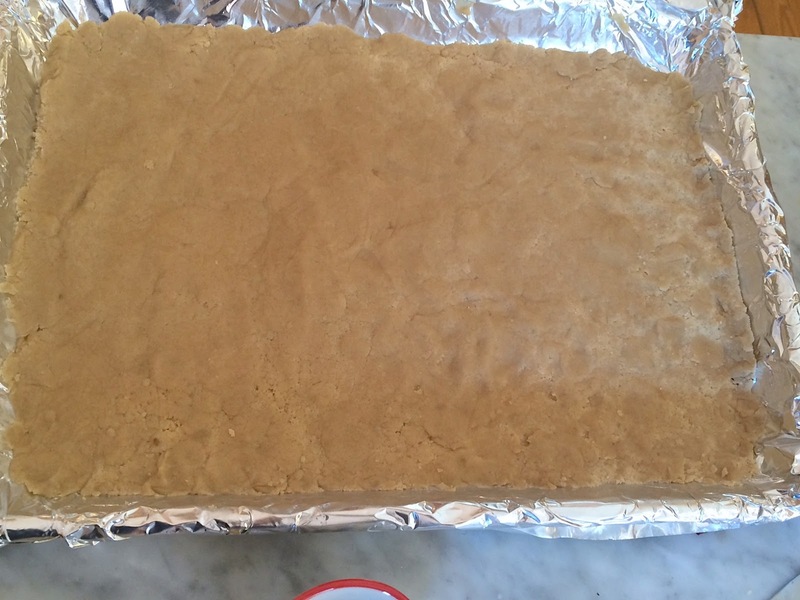 Using your hands (I always wear latex-free gloves), press the dough into the pan. Bake in a preheated oven for 15 minutes. 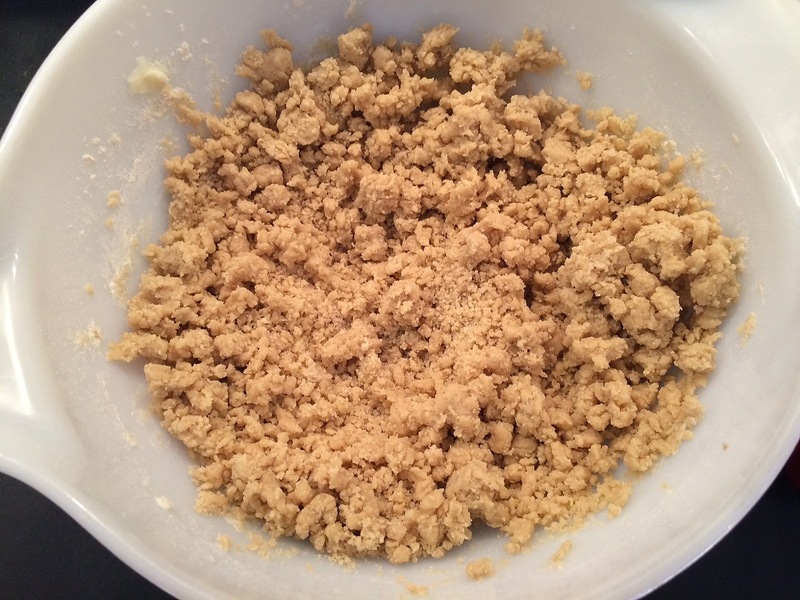 While the crust is baking, begin the filling by mixing the ingredients together. Pour the filling atop the crust (I cooled it first) and, using an offset spatula or the back of a spoon, move it to the edges so that the crust is entirely covered. Bake for about 20 minutes, until the top is nicely browned. Cool, and using the foil, lift the entire cake from the pan and onto your counter. Cut into serving portions. Below is the original card. And below that, I've typed the recipe and added some production notes. 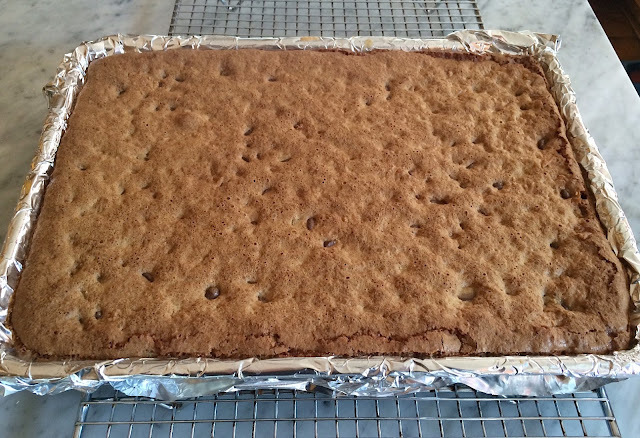 Line a cookie sheet with foil so that it extends over the edges. I used a quarter sheet pan, approximately 10 x 12. Mix well (I used a hand-mixer). Pack into a cookie sheet, flattening so it reaches the edges. 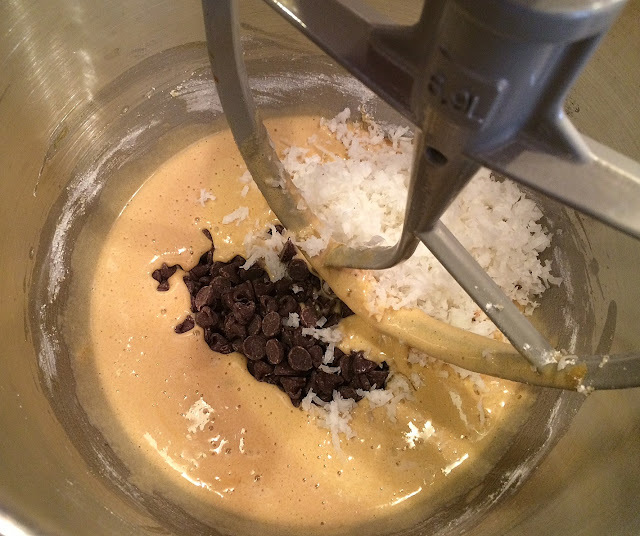 Beat eggs in a stand mixer (or use a hand mixer) very, very well, until almost light in color. 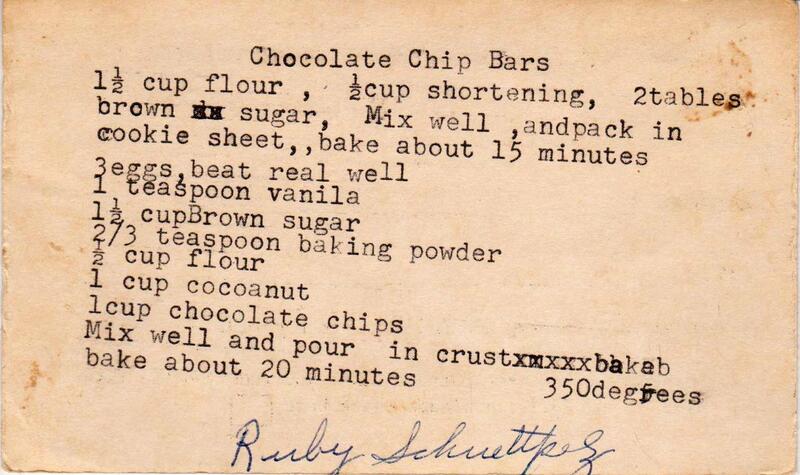 Add the rest of the ingredients -- except for the chips and coconut -- and combine. Add the coconut and chips; combine until mixed. Pour the mixture atop the crust, using an offset spatula to coax to the edges so that the entire crust is covered. Bake about 20 - 25 minutes until the top is brown, darker than golden brown. The toothpick test won't work well -- the interior should be somewhat gooey. Cool, move to a flat surface and cut into squares. 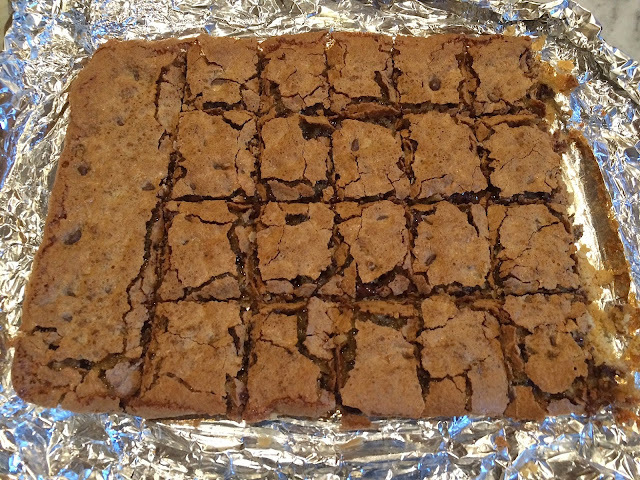 Day one, the bars will be gooey; after that, they will not be so gooey, but still delicious! How much butter did you use in the crust? It appears that the original recipe calls for 1/2 cup shortening. Your transcription says 2 sticks (1/2 c.). In my region, 1 stick butter is 1/2 c.
Is that a typo, or do you have smaller butter sticks? Great catch, Elle! It was a typo, now corrected. Thank you.